These events are organized by the Donnelly Centre Postdoctoral Fellow Association, run Punit Saraon (Stagljar Lab) Nick Stepankiw (Hughes Lab) and Brock Harpur (Blencowe Lab). 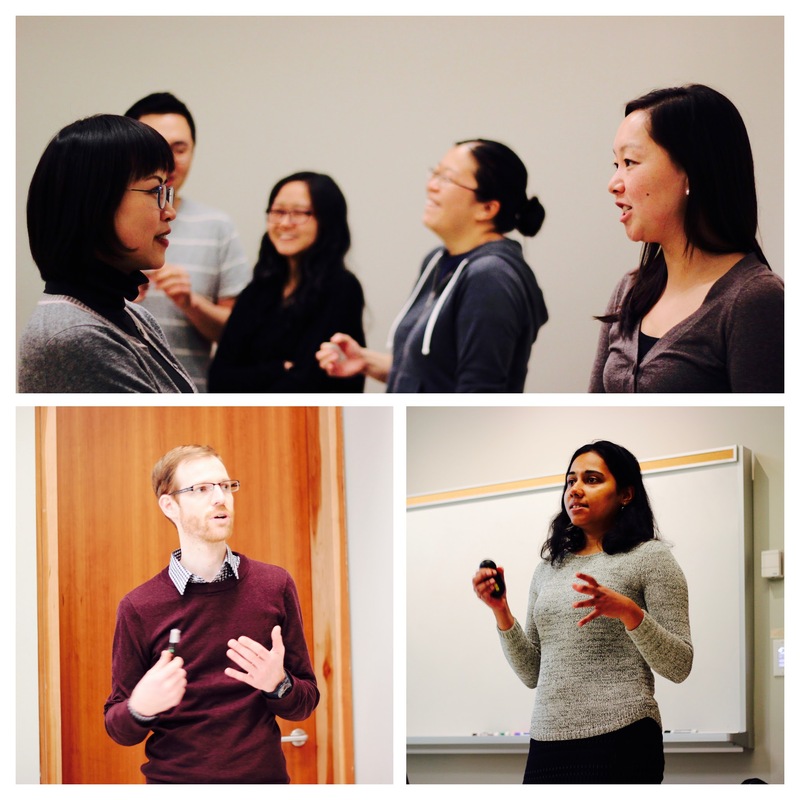 The bi-weekly Postdoc/Research Associate Seminars Series aim to connect the Donnelly Centre community of ~100 postdoctoral fellows and research associates with each other. Running from January through June, it provides an opportunity to present ongoing research and get feedback from peers. Speakers can sign up on a first-come, first-served basis. If interested, please contact one of the organizers and fill out the following doodle poll: https://doodle.com/poll/ig2i8mpspwizui4p. Additionally, once or twice each season, invited speakers give seminars related to grant writing, job search and other crucial skills for postdocs. Pizza and soft drinks are provided by the Donnelly Centre. When/where: Every other Monday at 12 noon / Donnelly Centre’s red room. Email: ccbr-postdoc-seminars@googlegroups.com to be added to the emailing list. Our last symposium took place on Dec 4, 2017 with 11 postdoctoral and research fellows giving talks about their research. The keynote speaker was Professor Hannes Roest, who recenty joined the Centre as faculty. Check our Flickr gallery to see more photos from the symposium.